The 32GB version retails for $649 and 64GB retails for $699. As far as price goes, this is the most expensive Nexus device we have seen so far. So, is the new Nexus 6 worth the high price tag? Nexus 6 has nearly identical specs on paper in comparison to the Galaxy Note 4, having the same Snapdragon 805 processor and large 1440P screen. Of course, the differences are in the details, so let’s go take a closer look baby, huh! First up, let’s start with the Qualcomm Snapdragon 805 processor. The Nexus 6 comes equipped with the latest Android 5.0 Lollipop, which has roughly 10-20% faster performance over Android 4.4.4 KitKat. Yes, on benchmarks, the Nexus 6 clearly kills anything else out on the market. 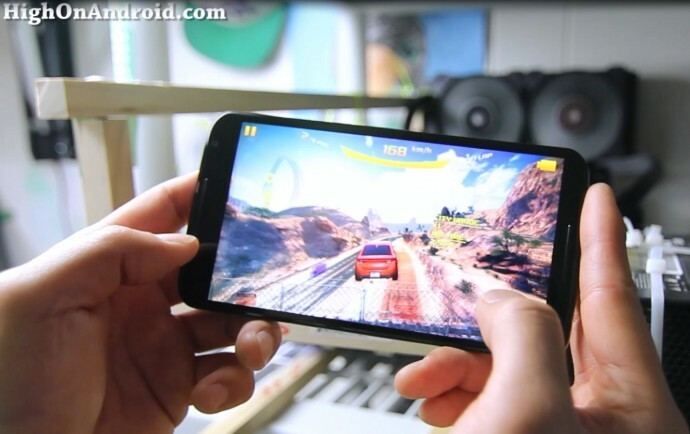 Everything on the Nexus 6 runs faster than any other Android smartphone. If you are looking to get a phone with performance that will last you the next 2 years, you can’t go wrong with the Nexus 6. Second, Nexus 6 comes with a whopping 6-inch 1440P display that’s beautiful to look at and will allow you to enjoy all of higher-resolution videos/apps of the future. Honestly, there’s not too many apps that currently support 1440P but then again, technology moves so fast these days, I wouldn’t be surprised if 1440P will be standard for apps in the next 6-12 months. The Nexus 6 screen does have slightly warmer feel than most other phones I’ve tried. This becomes very apparent when using the camera. I honestly don’t think Nexus 6 screen is the best out on the market right now but then again for most users, you will not notice the difference and won’t affect your viewing experience unless you are nitty-gritty about every little detail on the display. Third, let’s talk about the software. The Android 5.0 Lollipop experience is certainly one of the best out there. The Nexus 6 offers a seemless experience for both regular and flasholic audience who likes to root and install custom ROMs. As far as stock Android 5.0 goes, it’s a flawless experience that Google wanted to give its purists and people who like the simplicity of pure Google. Pure Google experience does not include many of new features added by Android smartphone manufacturers like Samsung, LG, and HTC but then again, you don’t get all the crapware/bloatware you won’t use anyways. However, if you do like modding your phone, Nexus 6 is one of the better devices to add new software features easily by rooting and installing custom ROMs. Nexus devices have always been that, allowing the user to easily modify the software to their liking. You will find Nexus devices have endless open source support, even many years after Google stops updating the firmware. As an example, my old Galaxy Nexus still can run Android 5.0 Lollipop just fine thanks to open source developers. The stock Lollipop 5.0 launcher actually is a bit of disappointment as you have huge app icons with a rather, large 6-inch screen but this is easily fixable by using 3rd-party launcher like Nova to add your favorite 5×5, 6×6, or bigger grids. Fourth, let’s go into detail of the camera. The Nexus 6 features 13MP back camera and 2MP front camera. The back camera supports up to 4K video recording while the front camera does up to 1080P. For video recording, Nexus 6 is pretty much on par with any of the latest smartphones I have tested like the Note 4 and LG G3. Where Nexus 6 falls a bit short is in its still camera abilities. In bright sunlight, every smartphone camera performs very well, this is true for all types of cameras. Where you can tell difference in camera performance is in low-light and boy, Nexus 6 does not do well in low-light. 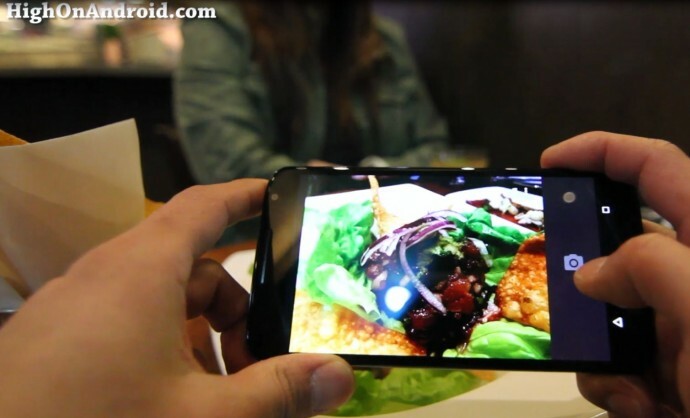 Phones like Note 4 or Galaxy S5 make up its performance in low-light with additional software features to post-process its photos. The LG G3 is my favorite smartphone camera of all time because the laser-focus allows you to focus on objects in even near darkness. The Nexus 6 has none of this, low-light photos are in general very dark, unfocused, and hard to capture without using the flash. That’s where its dual LED flash comes into play but in my opinion, the dual LED flash doesn’t do justice either, the photos taken with dual LED aren’t too much better than photos taken on other smartphones with single LED flash. Overall, if you need a great low-light camera, Nexus 6 isn’t the way to go. But I am being very critical here and nitty gritty for those of you who are photo-sensitive. If you are not a power user on Yelp and using your phone to take excellent low-light photos of delicious food at a 5-star restaurant, you won’t have a problem with Nexus 6, it’s still better than most cameras of yesteryear, I am just saying it’s not the “best”. Fifth, let’s talk about the size of this phone. Nexus 6 is certainly not for those of you who like small phones. We are talking about a 6-inch smartphone. First, you will have to figure out if you can even fit this phone in your pocket, purse, or whatever. Personally, I am 5’9” and I wear normal to slightly baggy jeans. My daily driver is the Note 4, which is slightly smaller than the Nexus 6 and it fits in my pockets just fine 24/7. 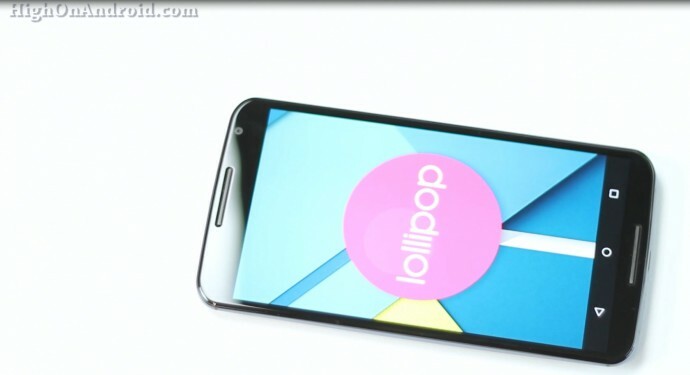 The Nexus 6? I don’t feel any difference in my pockets, it doesn’t feel bigger by any means and fits just fine. 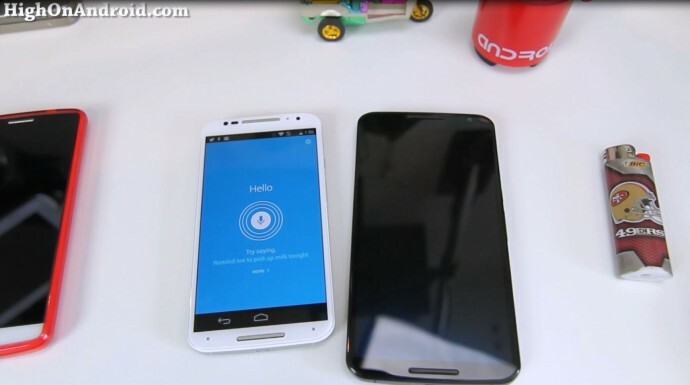 If you’ve used a Note device, you will do just fine with Nexus 6, it will just “look” slightly bigger. The greatest thing about phablets like the Nexus 6 is the large screen. Typing on a large screen is soooo much easier than on a smaller smartphone. If you have trouble typing on smaller phones, you may definitely want to try typing on a bigger device like the Nexus 6. Hey, if it doesn’t fit your pockets, carry a bag for your phone, or even man-bag. Being able to get things done on your smartphone is probably the biggest reason why I carry my bigger phones. I can actually browse full-size websites, type for long periods of time, and I don’t really need a tablet, my phone does everything. Sixth, probably the coolest feature on Nexus 6 is its stereo speakers, which are located on top and bottom of the phone. 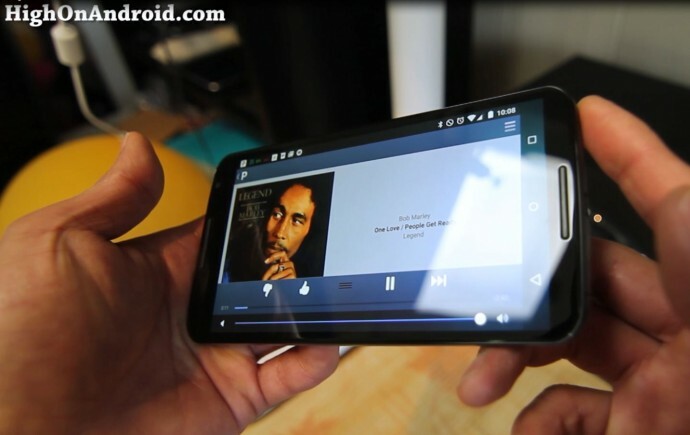 When viewing videos in landscape mode, you will get nice stereo sound just like the HTC One. The sound isn’t as great as HTC One but then again, this should be easily tweakable by installing 3rd-party equalizer apps. Seventh, Nexus 6 comes with 3220mAh battery, same as one found on Note 4. As far as battery goes, Nexus 6 won’t disappoint you and let you get a full day of battery life, perhaps a tad better than the Note 4. 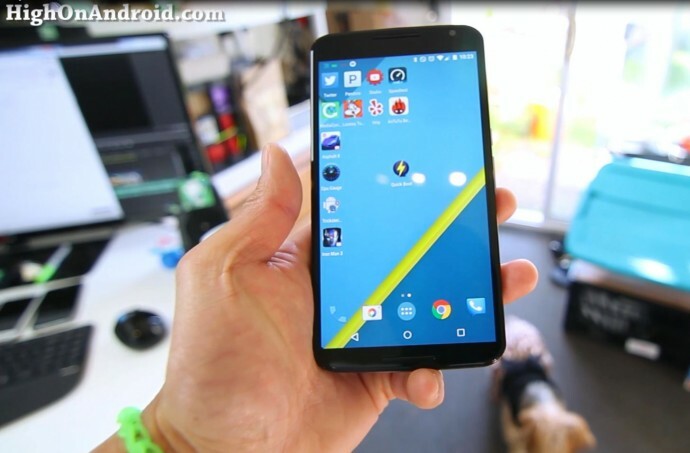 Lastly but not least, let me talk about what’ missing with the Nexus 6. Although Nexus 6 may seem like the bigger brother of Moto X, it’s missing Moto X’s core feature of voice commands, especially while the screen is off. Although this may not be a big thing for most of you, I really expected to be on it and it was disappointing to see it without. But this is a software feature that could be added easily with root and custom ROMs. Next, the Nexus 6 lacks an external microSD card. All previous Nexus devices supported OTG, meaning you could hook up your USB flash and other USB devices with root but starting with Lollipop, OTG feature has been disabled (and still not working as of this video). Now, this may be fixed in the foreseeable future but at the moment, there’s absolutely no way to add external USB storage. I found out this the hard way at CES 2015 this year where I was using my smartphones to upload my Canon DSLR footage by swapping out my micro-SD cards or using OTG USB cable with my smartphones. My Note 4, Galaxy S5, and Note 3 did all of these things out of the box without root but my Nexus 6 literally became a brick in this arena. Nexus 6 also lacks an IR blaster for controlling your TV, which most newer smartphones have these days. If Nexus 6 is prices at $649, this is definitely one feature I would expect to be on there. 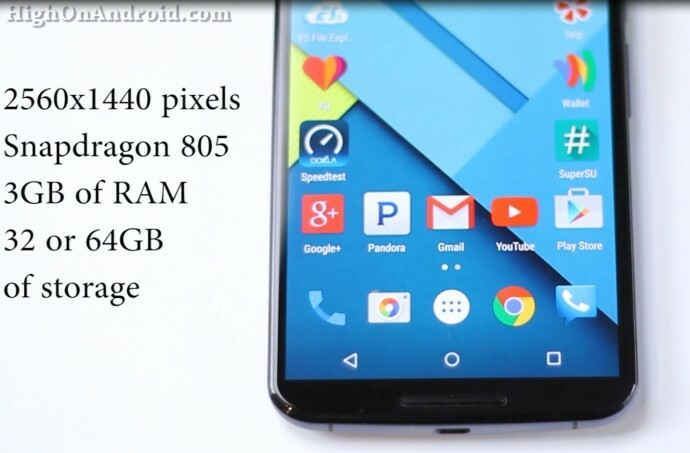 So, the question is, is Nexus 6 worth $649 for 32GB version and $699 64GB version? Man, I hate to be the one to tell you but I think it’s a bit over-priced for a Nexus device. With Nexus 4 or Nexus 5, one of the advantages of getting a Nexus device was its price, that it came with just the features you need at an unbelievably lower price than other phones on the market. If you don’t know how to root and install custom ROMs, Nexus 6 is still definitely a great choice to experience pure Google but if you do know how, you can always root and install CM12 on the Note 4 to get the same. I am definitely looking forward to Nexus 7 already though, I hope they can come up with a better device for the price you pay. For now, I am sticking with my Note 4, Note Edge, and LG G3 for daily driving. Getting a new Nexus 6? Look here on Amazon for the best prices. Next story Note 4 Review – Why the Note 4 is King of Phablets! Previous story Best of CES 2015 Interview w/ Tim Schofield from QBKing77!